Frances Holliday Alford celebrated a big number birthday this year and asked her Facebook friends to send her a 6" quilted square. I am pushing the deadline! 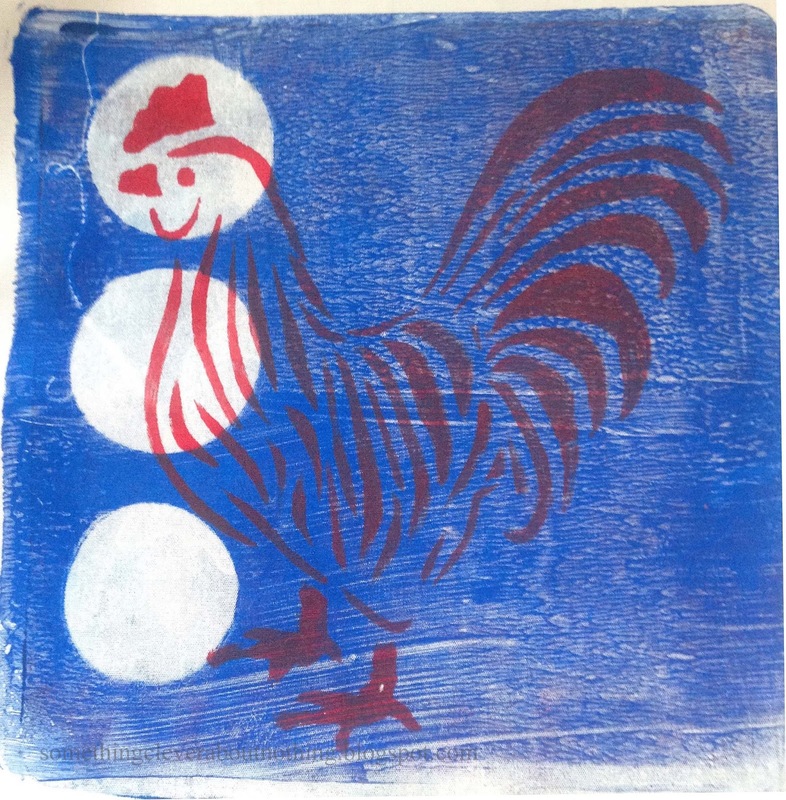 Frances was born under the sign of the Rooster and I decided I would create a rooster stencil to put on my block. 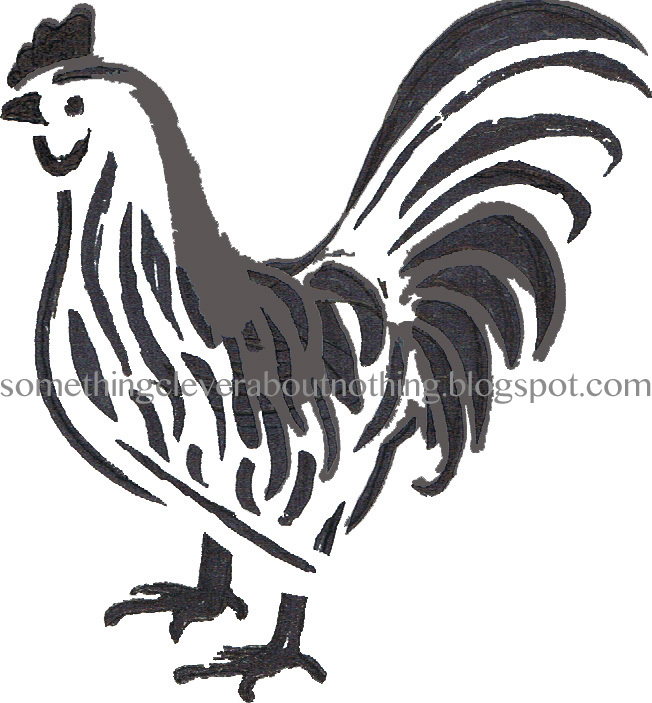 I drew the rooster and then used my white pen to create some bridges within the drawing for a stencil. I imported it into the Silhouette Software and cleaned it up quite a bit before cutting it out of freezer paper. I wanted a red rooster on a piece of blue moon Gelli® printed fabric. This was my first time using one of my Liquitex paint markers on fabric. It was very easy to use! The paint wasn't as opaque as I had hoped for though. The rooster just didn't stand out as much as I had hoped. I could have ironed the stencil back on and painted again with a more opaque paint but I decided to go another direction. 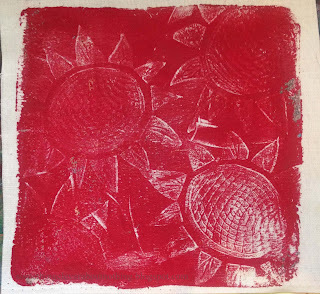 I love this sunflower Gelli® printed fabric. 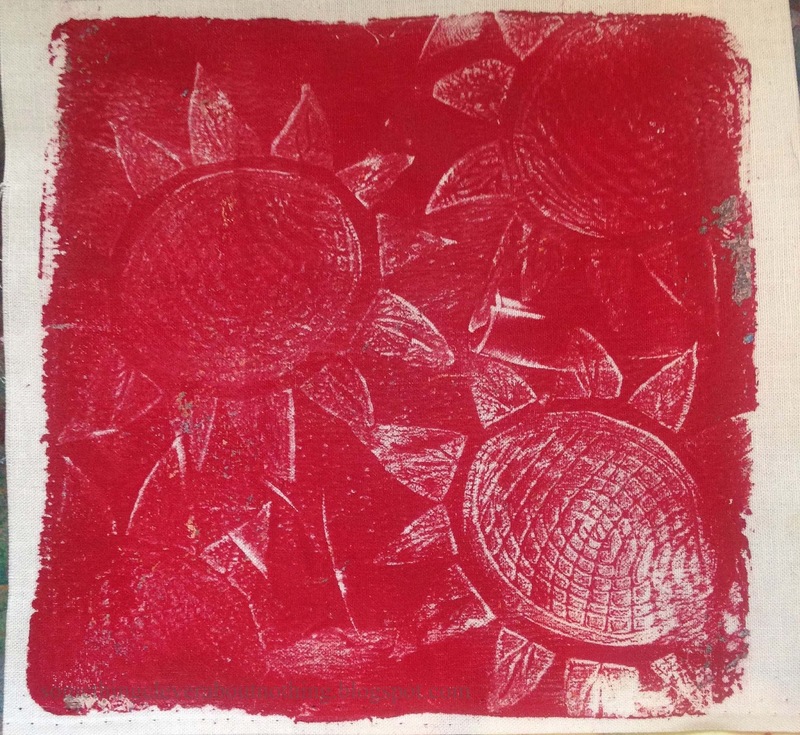 The sunflowers were a stamp I made with fun foam pressed into the plate. 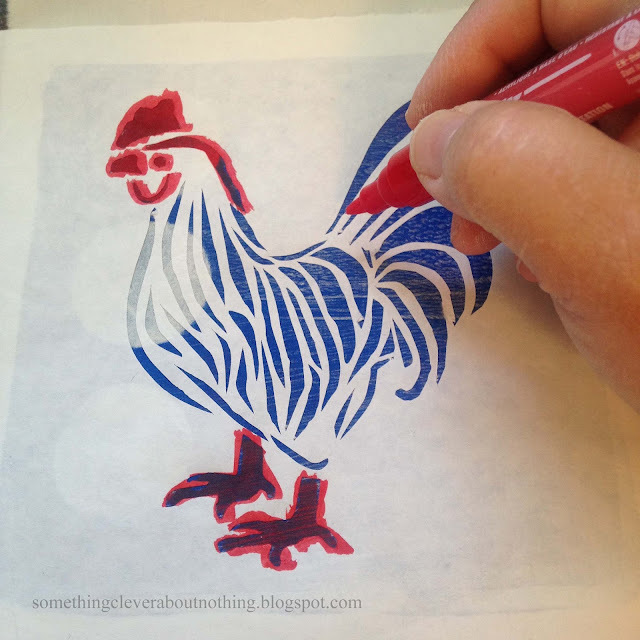 After ironing the stencil on to the block, I pulled out my white acrylic paint, no fabric medium, and painted away. 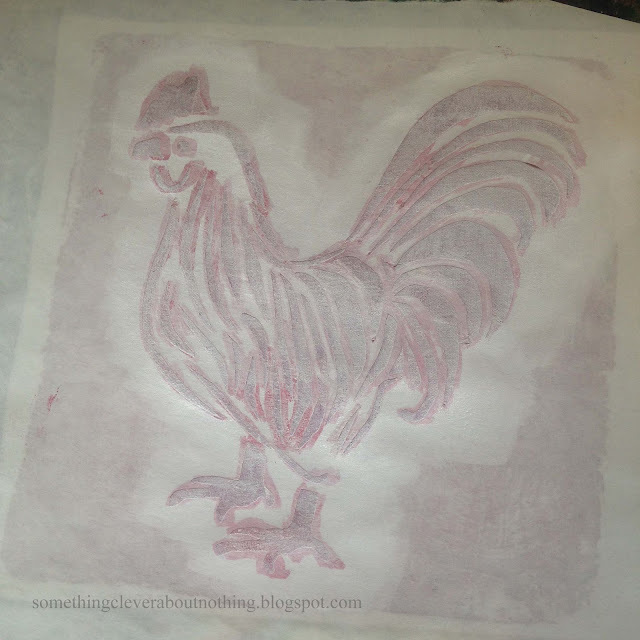 After setting the paint with the iron, I quilted around the rooster and trimmed the block to 6" square, then put it in an envelope ready to mail without remembering to take a photo. Oh well, the quilting was done with mono-poly so it really didn't show up anyway. Happy Birthday Frances! 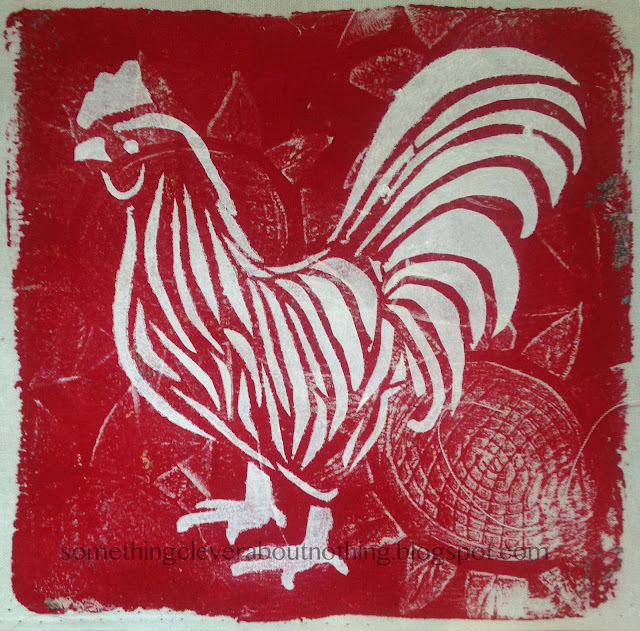 Pairing your own fabric seems to be a growing trend-may have to give it a try someday! What an awesome post Lisa... your talents are many and this post shows clearly how much fun you have along the way. 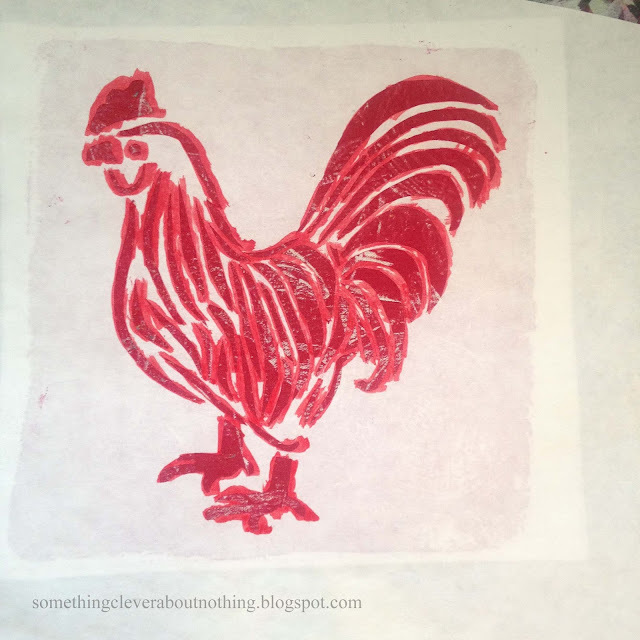 Inspired - and Frances will LOVE this gift! Congrats to you both! 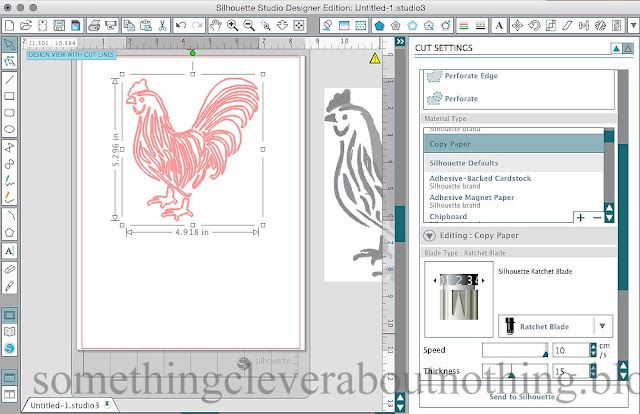 You've really figured out how to make the rooster pop against that fabric! Using the white was a stroke of genius! Lovely! Very French-looking to me. What a difference the color combination makes! I love it!